Nestled on the beach, this Sukawati hotel is 1.5 mi (2.3 km) from Saba Beach and 2.9 mi (4.7 km) from Keramas Beach. Bali Bird Park and Lebih Beach are also within 6 mi (10 km). 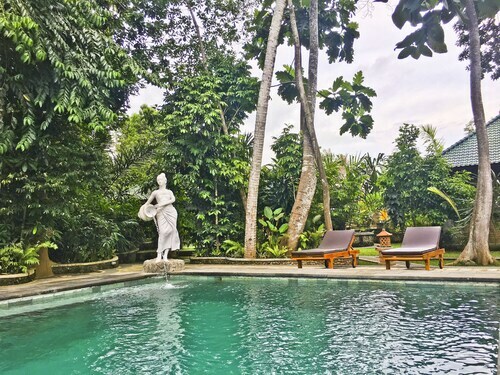 Situated in Sukawati, this hotel is 1.7 mi (2.7 km) from Tegenungan Waterfall and within 6 mi (10 km) of Ubud Monkey Forest and Bali Zoo. Bali Bird Park and Ubud Traditional Art Market are also within 6 mi (10 km). 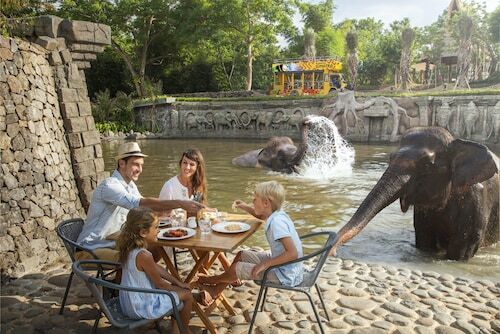 Situated in a rural location, this bed & breakfast is 1.3 mi (2 km) from Bali Zoo and 2.3 mi (3.7 km) from Bali Bird Park. Ubud Monkey Forest and Ubud Traditional Art Market are also within 6 mi (10 km). Located in Sukawati, this beachfront villa is next to a golf course, 2.8 mi (4.5 km) from Saba Beach, and within 6 mi (10 km) of Sanur Beach and Bali Bird Park. Matahari Terbit Beach and Tegenungan Waterfall are also within 6 mi (10 km). Located 30 kilometres southeast of the heart of Bali, Sukawati is a popular neighbourhood to see when travelling through the area. The Tanah Lot and Kuta Beach place Bali on the map and shouldn't be missed. Grab your friends and visit Tegenungan Waterfall for a picnic in the great outdoors. 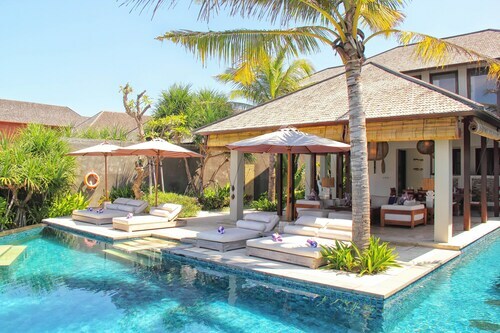 The Santi Mandala Villa & Spa and Bali Masari Villas are perfect if you want to hit the hay nearby. Learn how local goods are made and have a chat with the diverse array of stall owners at Sukawati Market. Look into the Bumi Linggah The Pratama Villas and The Royal Purnama art suites & villas to be within easy reach of this attraction. If you're after a good deal on accommodation in Sukawati, Wotif recommends reserving a bed at the Semampan Village Guesthouse. Sukawati boasts a range of places to rest and relax for all travellers. 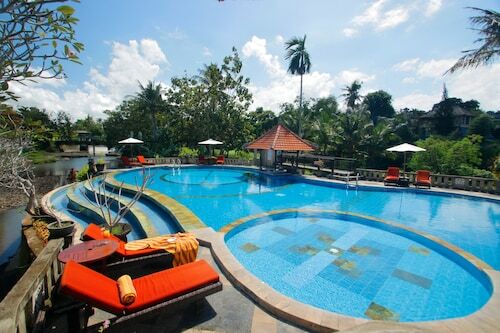 However, for those planning on spending a little more, it's worth checking out the Villa Samudra. Does it take you a while to get going in the morning? You'll find a range of great cafes in Sukawati. A steaming cup of coffee and pastry at Tee Moon is the perfect way to jumpstart your day. If a snack isn't going to be enough, go and peruse the impressive menu at Ogud Sudhiastini Wedding. There's something for everyone at this well-loved diner. And of course, you haven't fully experienced Sukawati until you've downed a few drinks with the locals at the neighbourhood pub. 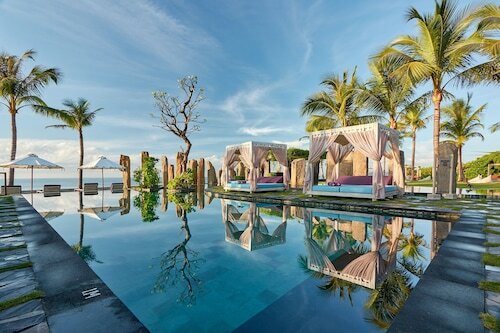 Here, Hepy And Desak Wedding is where you'll want to go. If you and your mates cannot find the right Sukawati hotel room, take a look at the Batubulan hotels guide. Alternatively, the Wotif Ketewel hotels guide can sort you out. Wotif will help you sort it out, from car hire and activities to hotels and flights, when it's time to stop dreaming and start exploring. How Much is a Hotel Room in Sukawati? Hotels in Sukawati start at AU$24 per night. Prices and availability subject to change. Additional terms may apply.